This dress is flirty and feminine at it's finest! V neckline, cinched waist, and the buttoned front create the prettiest silhouette, and the dotted print just adds to the girly vibe. Features a zip back closure and is fully lined. 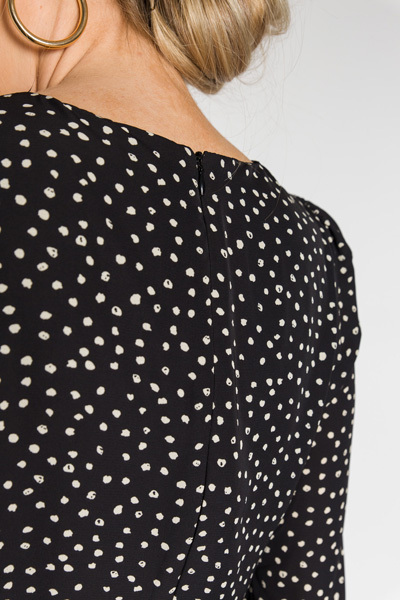 Shoulder to hem measures approximately: S- 32.5" M- 33.5" L- 33.5"